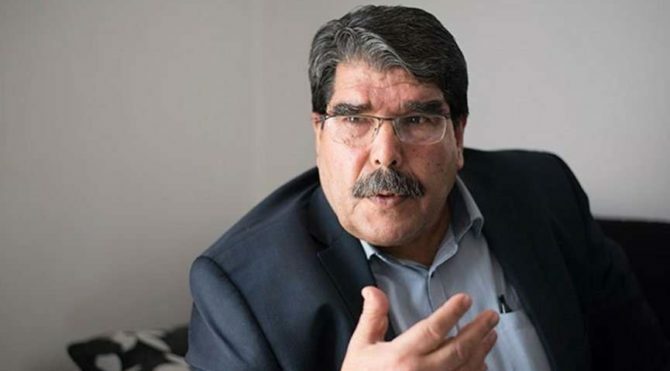 Czech authorities will consider extraditing the Syrian Kurdish Democratic Union Party (PYD) former leader Salih Muslim in exchange for two Czech citizens jailed in Turkey on terrorism charges, the Turkish daily newspaper Sözcü reported on Monday. Muslim was arrested at an international conference in Prague on Sunday at Turkey’s request, reportedly after a Turkish participant at the conference took a picture of him. Ankara has lodged an extradition request, which a spokesperson of the Prague Municipal Court has announced will be considered on Tuesday. Turkey's ambassador to Prague Ahmet Necati said he thought a decision to release Muslim by the Prague Court would amount to support for terrorism, and could harm bilateral relations. Sözcü quoted Czech news sources, which said that the return of two Czech citizens, Miroslav Farkas and Markéta Všelichová, could be a condition for Muslim’s extradition to Turkey. The couple were arrested in 2016 and have been sentenced to six years in prison for links to the PYD’s armed wing, the Peoples’ Protection Units (YPG). The pair had been in the northern Syria region controlled by the group in order to help build a field hospital there, according to their defence testimony. The Turkish prosecutors said they had received military training and smuggled weapons and other materials to the group, which Turkey considers part of a terrorist entity. Muslim had been placed on Turkey’s most wanted terrorist list, and the foreign ministry recently offered a bounty of nearly $1 million for his capture. Ankara considers the PYD an extension of the Kurdistan Workers’ Party (PKK), and is currently fighting armed groups associated with the political party, including the YPG, in northwest Syria. Çekya, Salih Müslim karşılığında bu iki ismi istiyor Dün gözaltına alınan terör örgütü PYD'nin eski eş başkanı Salih Müslim ile ilgili Çekya basınında yeni bir iddia gündeme geldi. Bugün hakkında yakalama kararı çıkarılan Müslim karşılığında Çekya yönetiminin Türkiye'de tutuklu iki ismi istediği iddia edildi.